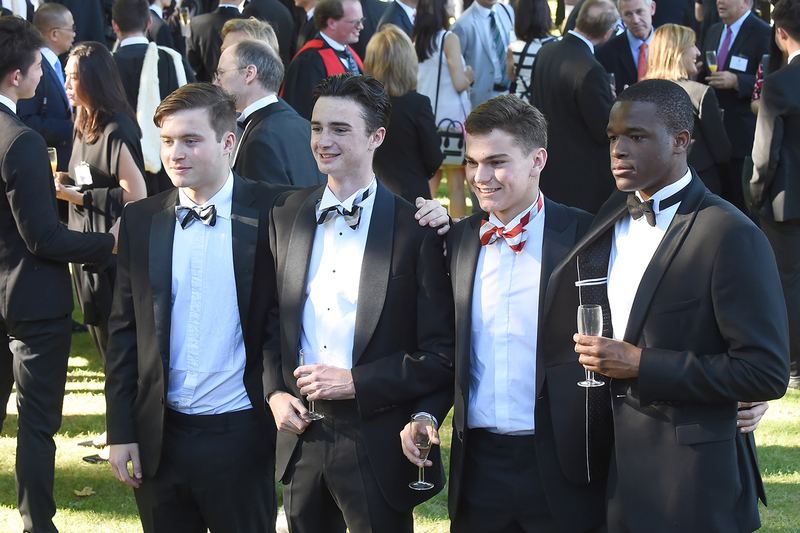 On Saturday 30 June, 140 leavers of the Class of 2018, together with their parents, assembled for drinks in the Warden’s Garden on a beautiful evening after a special service in Chapel; parents then repaired to the Win Coll Soc marquee for dinner. Following the mob rule of previous years, a scheme had been hatched for parents to assemble in Chamber Court in a disciplined manner to see their sons descend from College Hall. Leavers and parents were finally reunited in the Warden’s Garden to sing Domum, accompanied by a small silver band. The new arrangements were judged a success. On Saturday 1 July, 140 leavers of the Class of 2017, together with their parents and all the dons, assembled for drinks in the Warden’s garden on a beautiful evening. Chapel was bathed in glorious sunlight, the champagne flowed and as a result many a parent had a damp eye. Parents repaired to the Win Coll Soc marquee for dinner and then assembled in Chamber Court to meet their sons as they descended from College Hall. Despite the entreaties from the Director of Win Coll Soc and housemasters, a traffic jam in 7th Chamber passage was caused by a number of parents refusing to make room for others. Better arrangements will be needed in 2018!